Somewhere in a Japanese rural village there is a house I want to visit. 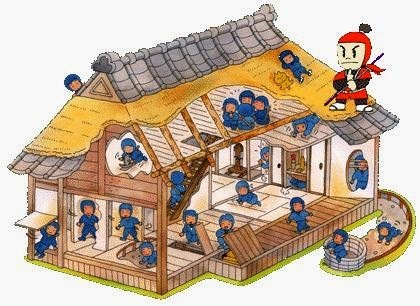 It is an authentic Ninja House built over 300 years ago. Looks like a farmhouse but you actually enter a place of tricks and traps that puts James Bond to shame. There is a hidden revolving wall panel, a concealed ladder, a handy underground tunnel escape route, a secret alcove hidden behind a hanging scroll and other cool interior design features. So I got thinking about making your own Zombie Apocalypse House. One with a few tricks of its own. Here are few ideas I have collected from people. 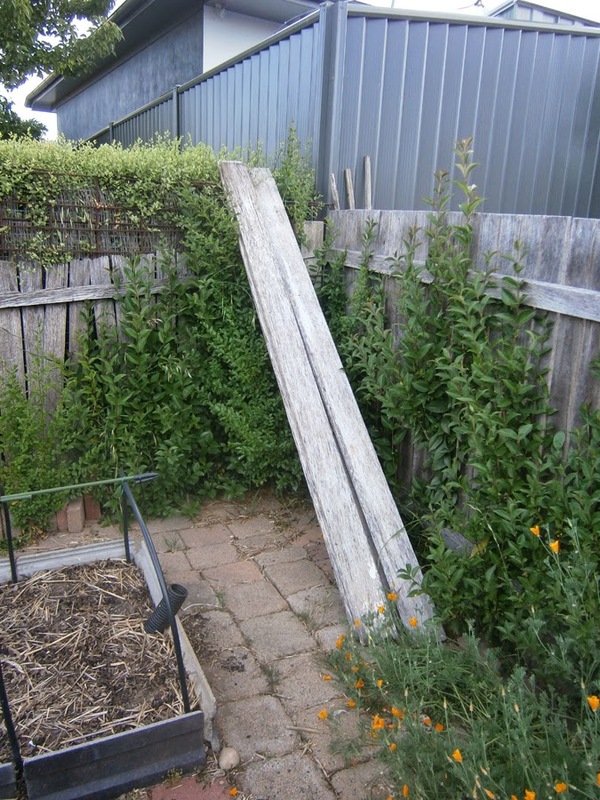 Looks like a few planks resting against the back fence but in fact it is a ramp into the yard next door. Good for a fast get away, especially as zombies don't have a great sense of balance and will find it hard to follow. Also great for using the neighbour's pool when they are on holiday. This fence backs onto a reserve and is fairly well hidden by the shrubby. 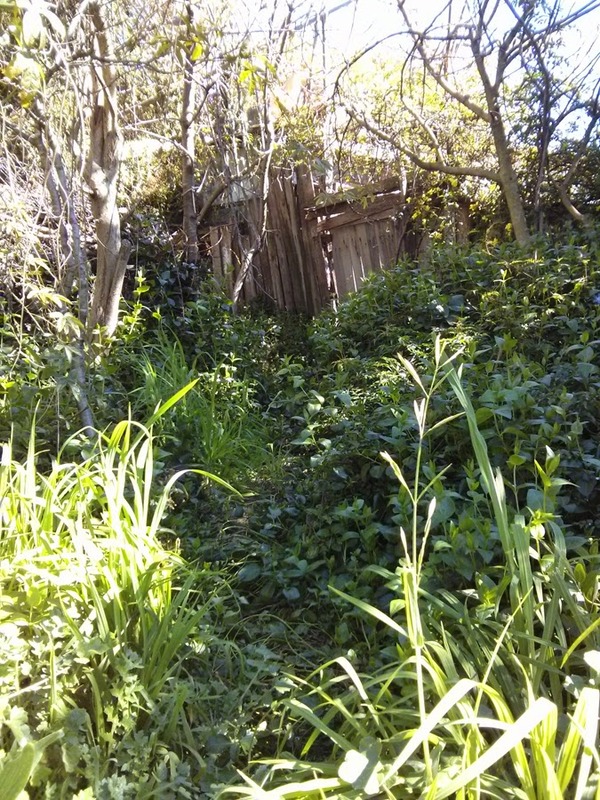 There is a gate in that ramshackle fence and judging from the slightly worn trail it gets used occasionally. 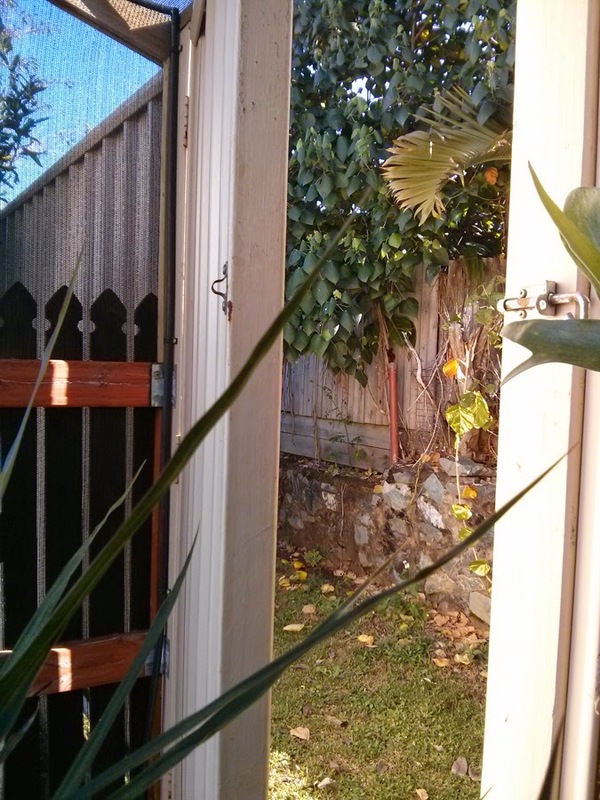 Obviously a nice escape route when the religious fanatics come door knocking. Here we see a how plants can be use to add protection and secrecy to your escape route. 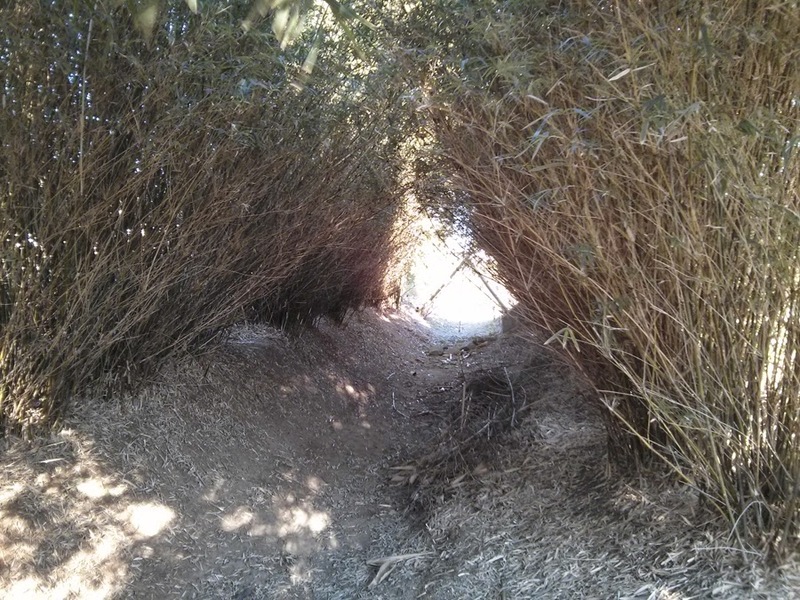 Zombies will find it hard getting through these bamboo hedges. With some more fertilizer and pruning this will be a impregnable tunnel hidden from prying eyes. 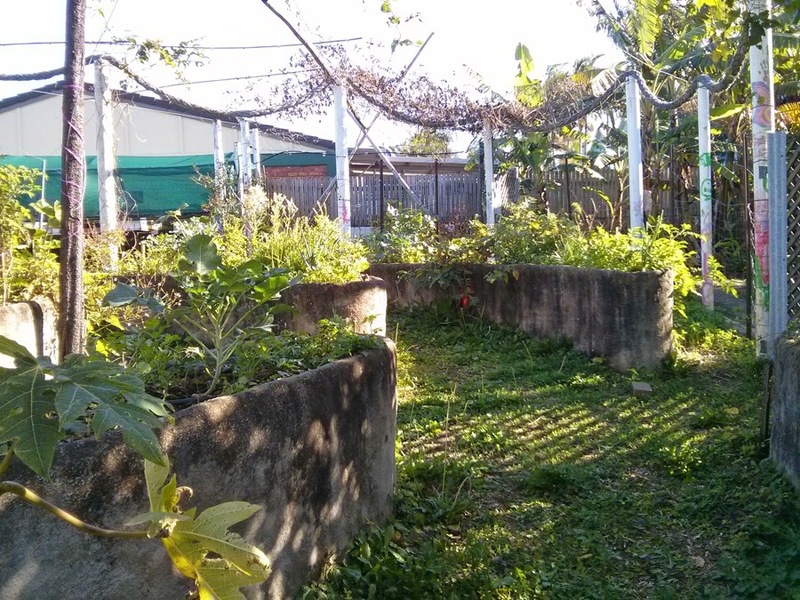 Don't neglect the veggie garden. Here the use of large concrete garden beds has created a series of barricades and choke points that you can use to defend your house should the zombies break in. You can use retaining walls and large art sculptures in a similar way. Don't forget to string up some trip wires for fun. 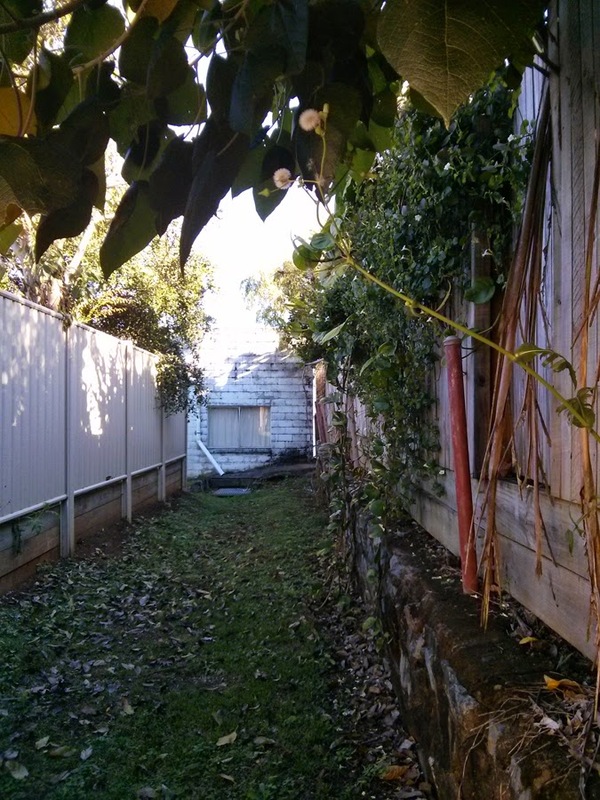 If you have the cash to flash and the room, create a hidden alleyway beside your property by installing a fake inner fence. I have seen this used on several properties. This one is pretty luxurious in terms of space. It can act as an escape route, rally point or extra car park. 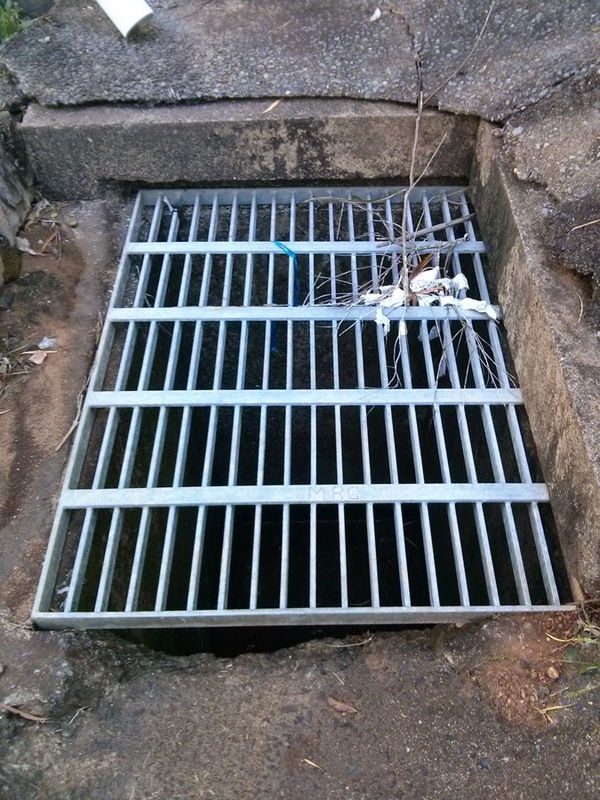 Providing it is not raining, drains can be a wonderful resource for those plagued by an abundance of zombies. It is also cheaper than digging your own bunker. Even if you can't fit your family in there you can use it to cache your survival supplies. Or at least keep your beer cool.